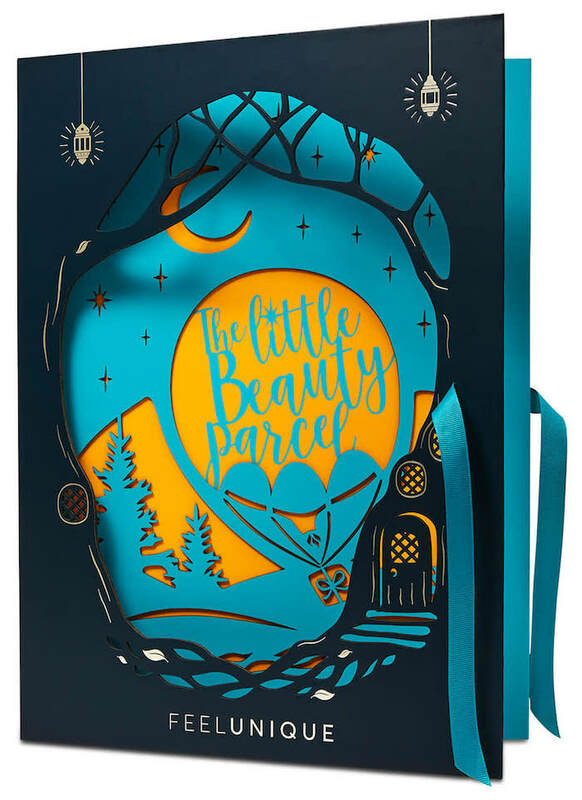 The Feelunique Beauty Advent Calendar for 2018 is different from the last three years' offerings - first of all, this one contains 24 beauty products. Previous editions were 12-day calendars, with only 12 products. Also, this year's calendar costs £75, while previous years' calendars were priced at £35. As usual, the calendar ships worldwide. Shipping is free to most locations. The calendar is themed the "Little Beauty Parcel" - it certainly looks the part; very whimsical, and the theme is unique and not generically Christmassy the way other advent calendars are. My unboxing of the 2017 Feelunique beauty advent calendar is here. You can see my 2016 review here. And, the first box - 2015 - is reviewed here. For those who think 24 products are a bit much, Feelunique also have a 12-day Advent Calendar here. Scroll down for the contents and spoilers of the Feelunique Little Beauty Parcel 24-Day Advent Calendar for 2018. I love the packaging of this year's advent calendar - very different from previous years' designs. There's a fairytale quality to it, and the front wouldn't look out of place in a Grimm's edition. Very nice. There's Charlotte Tilbury, the Brazilian Bum Bum Cream, Nails. Inc - and this is a mid-end, affordable advent calendar that actually costs even less than LookFantastic! Very good range of brands here. I also like that there are some generous sizes. The Murad serum is 5ml, and it goes on to the KMS shampoo and condish at 75ml each. Seven out of the 24 products in here are makeup. The Feelunique Little Beauty Parcel 24-Day Advent Calendar 2018 is available worldwide HERE for £75, inclusive of postage to most countries. Code ONEDAY20 ought to get you 20% off - it expires soon, so do hurry. Other "Beauty Parcel" themed goodies include a Vegan Edit beauty box, a Unique Boutique Luxe Edit beauty box, a Skincare Edit, and a Hair Edit. All of these ship worldwide as well.